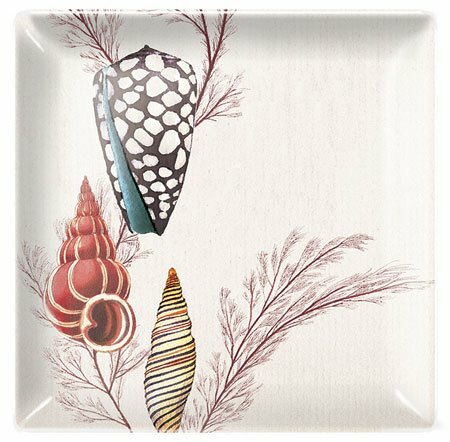 Transferware glass tray has colorful shells and sea grass on an ivory background. 4.5" square. Print is kiln fired to glass. Packaged in a patterned gift box.